Forget about “What you see is what you get.” Instead, give “What you calibrate is what you get” a try! When designing for print, we tend to trust what we see on our monitor. But how do we know if it is accurate? If you’ve ever been in a store that sells TVs and seen an entire wall of TV monitors, you’ve certainly noticed how much variation there can be. Some TVs are too red, some are too green, etc. The same can be said of computer monitors. Two monitors can vary even if they are the same model purchased on the same day. So the question is not whether a display needs some form of calibration, but how often and what are the best tools. Here’s how calibration works. A color calibration device like the i1 Display PRO has an independent standard in mind for each color across the spectrum. It “reads” your monitor with special sensors to see what the monitor produces when told to create each color standard. Comparing your monitor’s efforts with the actual independent standard, the calibrator then determines how to adjust your monitor — less green, more blue, etc. — so that it will create those color standards with greater accuracy. That collection of monitor adjustments is called a “profile” and is saved on your hard drive. The tricky part comes along when you want one particular photo, for example, to look the same on your digital camera, your computer monitor, your inkjet proof, and the final printed piece. CIELAB colors — the independent color standards mentioned earlier — are used across the board by industries that depend on color output. Each color device — whether a digital camera, a computer monitor, or an inkjet printer — can be calibrated to hit these standards as closely as possible. This, however, is a major challenge, because (1) digital cameras, computer monitors, inkjet printers, and web presses each use different methods to reproduce color and (2) those different methods actually affect which colors the device can create. An RGB device like a monitor can create a wider range of colors (gamut) than a CMYK device like a web press. So even if the RGB monitor and the CMYK web press are calibrated to match those CIELAB standard colors, there is some slight variation. Still, they will match more closely when you calibrate your monitor. Without calibration, the difference can be startling — and very misleading if you design as though your monitor were producing final output, rather than for the printing press. An inexpensive device that yields good results is the Huey Pro by Pantone (less than $150). It not only calibrates your monitor, but also measures ambient room light and makes adjustments to compensate for changes in lighting. It can be set to check room lighting throughout the day and re-calibrate monitor at convenient intervals. At Panaprint, we are very excited to offer this new technology to our customers. 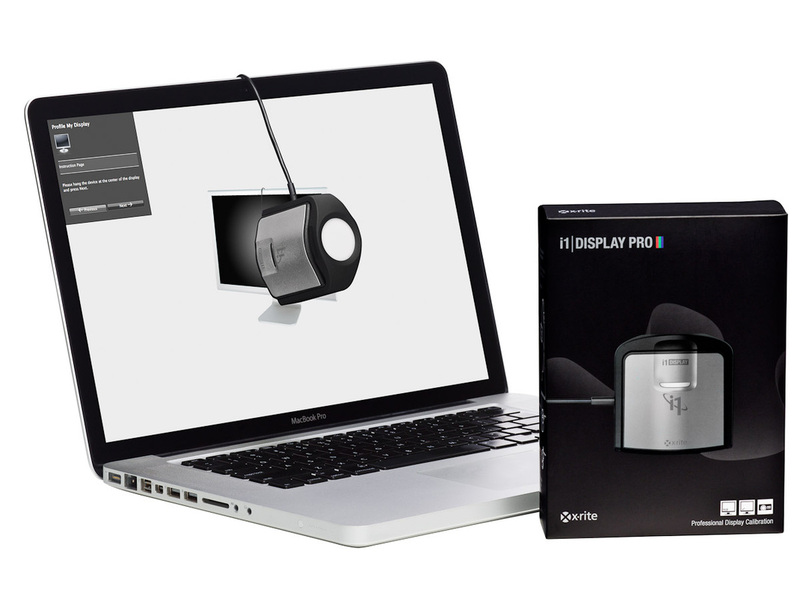 You need only acquire an X-Rite i1 Display Pro or equivalent calibration device and calibrate your monitor. Monitor quality, age and ambient lighting can cause slight deviation in proofing.